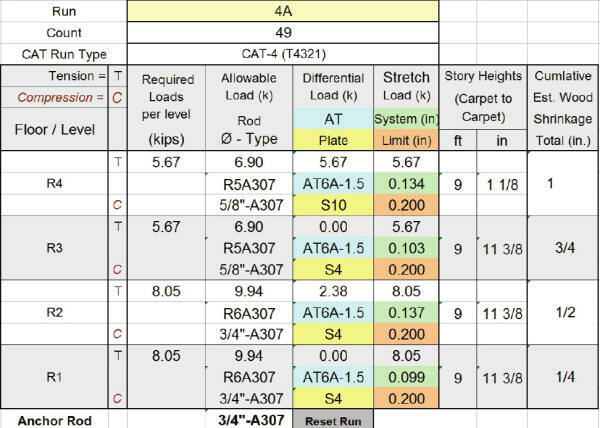 An Excel spreadsheet to assist in designing Rod Type Holdown systems. This is the heart of our system. You input your job name and relevant design details from the plans. You input the run loads. You get a system fully designed for loads including materials list. You can then adjust rod sizes to reduce elongation if you need to. You can then play what-if games to your hearts content. It allows you to track each instance of every run type then guides you through sorting them into similar configurations and loads. 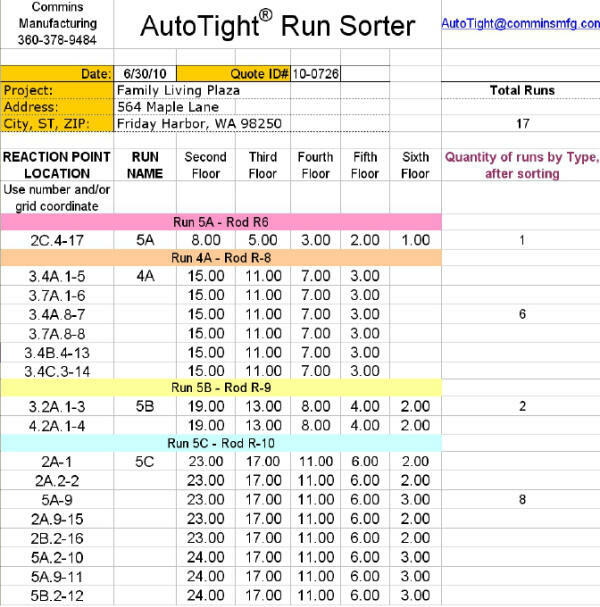 The last step is to group similar runs together to minimize the number of different run types. to stamp and submit to the local code enforcement agency. This uses input from the AutoDesign package to generate a signature ready document and to flag any over stressed or excess elongation. 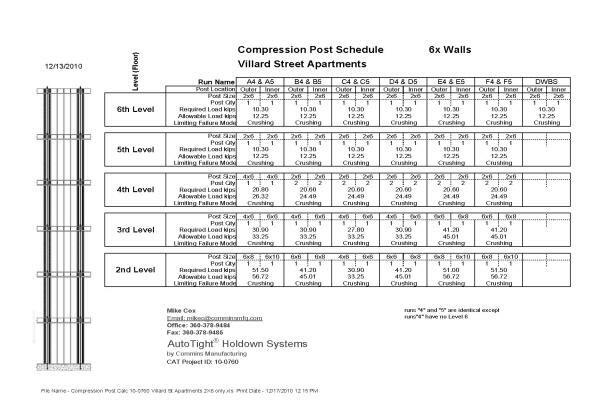 An Excel spreadsheet to assist in designing Compression Posts for holdown systems. This allows you to input job floor heights and loads then it gives you stresses and lets you adjust post sizes to minimize wood or labor depending on your preference. 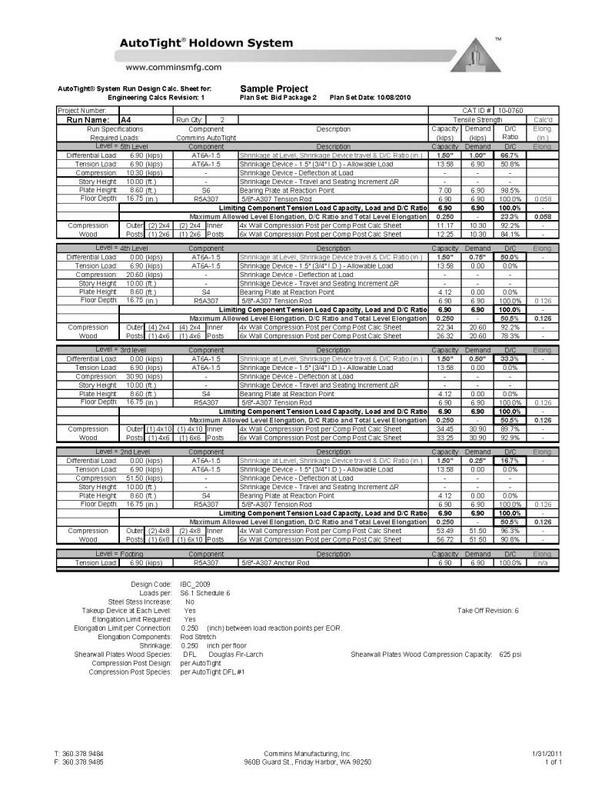 This is a sample of a complete job ready to send to your customer with your bid and to an engineer for stamping and submitting to code approval authorities.